Have you ever given a thought that your mobile application can generate revenue for you? 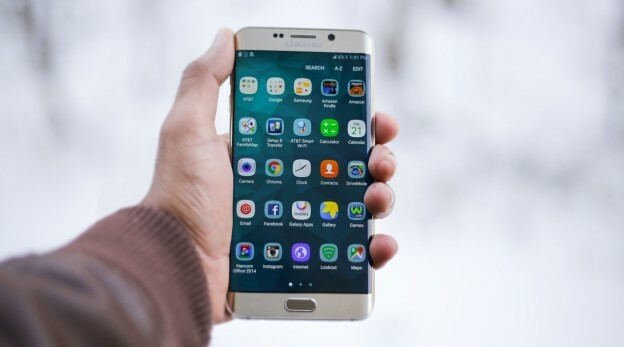 If you are new to the world of building mobile application, you might be a little surprised by the statement and have a counter argument that apps are free and can be easily downloaded from the app store without any charges. Yes, it is true that more than 95% of the mobile apps are free to download from the app store. Then the question arises that how can you generate money from your mobile app. This article talks about different simple, yet very effective monetization strategies for mobile apps. Second question, why you need to know the strategies? The reason is that you have invested your resources in the development and deployment of the app and you need revenue for the maintenance and up gradation of the app in the future. The listed strategies will surely ensure the regular flow of money from your app. Let the user first download your app without any fee. Provide him basic functions and utility. Let the user develop an interest in your app. Now, as a next step, you can ask the user to become a premium user and convert his basic account into the premium account with full features, functionalities and utility. This strategy is very effective for the media and publication apps like newspapers, journals and magazines. Here users can read certain parts of articles or can download a few songs, but if they want more, then they have to opt for the premium account. The strategy also works well for gaming where if users want to enjoy the advance level of gaming, then they have to become premium users. The strategy is simple and most effective for multiuser gaming apps. Let the user purchase virtual currencies or tokens and in turn they can use them to unlock or trade features of the game. This model is like a casino where users pay and buy coins for gambling. This strategy is not that effective for the newly launched apps, but once your app becomes popular and has a significant volume of active users; it can turn out to be a very effective strategy. The strategy is simple; you just need to invite third parties to advertise their apps using your app platform. In turn, they will pay you. The more popular your app is, the more likely it is to fetch high value advertisements. The strategy is simple. Your app is here acting as a middle man or commission agent. In your app, you allow the promotion of other brands’ products and services. The users of your app who view the promotion will be provided a coupon code or a link to buy other brands’ products and services. If they buy using the coupon code provided by you or through the link generated by your app, you are entitled to get the commission as agreed upon. The whole concept is called affiliate marketing. Most of the gaming and entertainment apps use this strategy, where at different stages of a game, they are asked to buy boosters to go to the next level. For example, when the user is out of the moves in the game and is very close to finish the level, ask him to buy 5 more moves at a very nominal price. This strategy has an advantage. There is no third party interference by display of advertisements, and your users will stick to your app for longer duration. When users register on your app, you get very useful information about the users like their email ids, mobile numbers and their social networking ids as well. This data can be used for various marketing purposes like email marketing and SMS marketing. Apart from that, when using social media analytical tools, you can get insight into the customers’ demographics and their buying behavior. This gives you a valuable insight for your marketing strategies. If your app provides an hourly regular updated content in the form of text, graphics or media, then there are high chances that customers would like to take the subscription for latest updates. The strategy is more suitable for the news related apps where customers can filter the news based on their preferences by the way of subscription. If you are a developer and if you can structure your code in a fashion where the same skeleton can be applied for the development of other mobile applications, then revenue can be generated by selling your code to other developers at a price. The strategy proves to be very effective as it offers you a consistent source of revenue. Offer customers multiple options to buy the products and services in different combinations where they derive value from buying the package. The strategy helps customers to derive the satisfaction for value addition and in turn will help you to generate revenue. Each app is different in terms of its users, application and appearance. No rocket science rule is applicable or best. Determine your own strategy, adopt any one of the above mentioned or use the combination of the above strategies to derive optimum value from the app.